Whip it,whip it good! This practice was meant to help women be fertile...go figure! 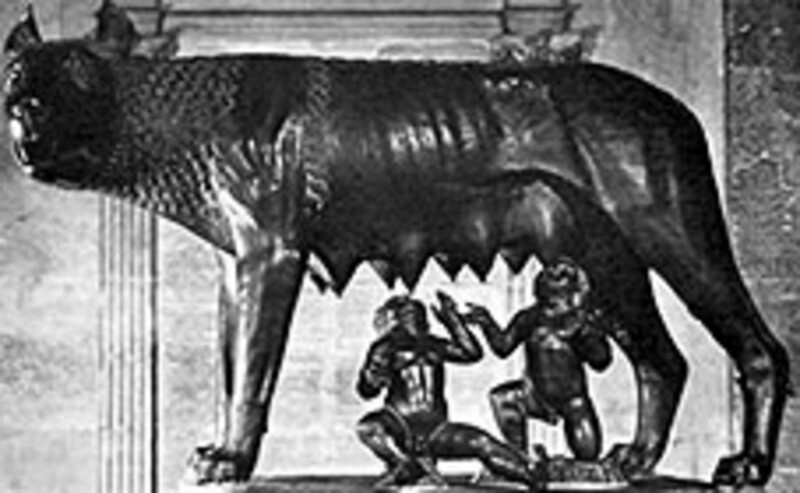 The she-wolf Lupercus who was said to suckle the "Hero Twins" Romulus and Remus. Capone was never charged with the murders in the garage and yet, most would agree he was the main instigator for the crime. The scene inside the garage after the all the smoke cleared. It is that time of year again, that a whole day is set aside to honor that mysterious emotion known as love. It is also time for me to return to a ongoing series of hubs I started writing on the subject of the beginning or “roots” of holidays. It started with Halloween The Celebration of Death and then The Evolution of Christmas and now...(drum roll) Valentine's Day The Celebration of Love! This holiday is yet a another holiday with a long history of traditions and legends, that seem to lead back to Rome. 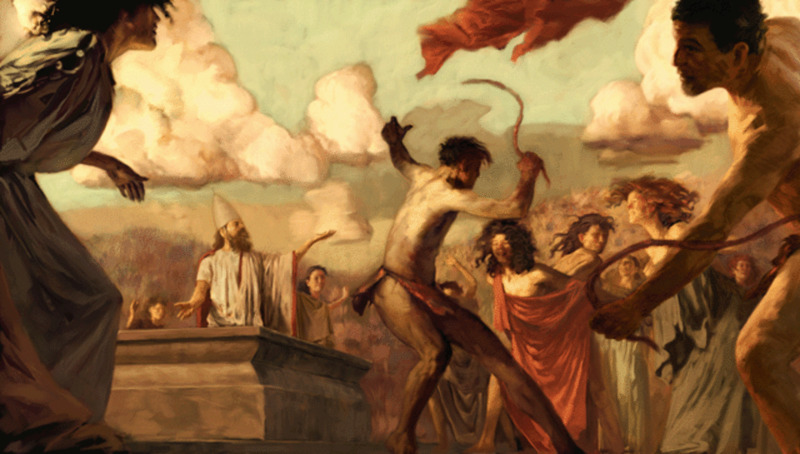 Some of the customs involved with the pagan rituals that are said to be connected to what has now become Valentines day are quite unusual to say the least. Especially the rite known as Lupercalis that involved the worship of a she-wolf goddess Lupercus and maybe the fertility god Faunus. This rite began so far back in the history of Rome, that most of the details about the rite and the gods that were originally honored have been forgotten. It was said to be practiced in a special cave that was were a she-wolf was said to suckle the hero twins Romulus and Remus. In this festival that took place on February 15th a goat or dog was sacrificed and then the animal's bloody hide was cut into strips that were used to ceremoniously “spank” the young women of the town so they would become fertile. This bizarre fertility rite was so popular that even when Christianity started to take hold in Rome, it continued to be celebrated and the Catholic Church did what they have done so well though out the centuries and in many countries, they “Christianized” it! All they had to do is pick one of there early martyred Saints , for it was said to be three different Saints named Valentine. Even though, most of the legends involved with this holiday stems from a priest who lived in 270 AD who was said to have been executed on February 14th which was real convenient, since the original festival was on 15th! 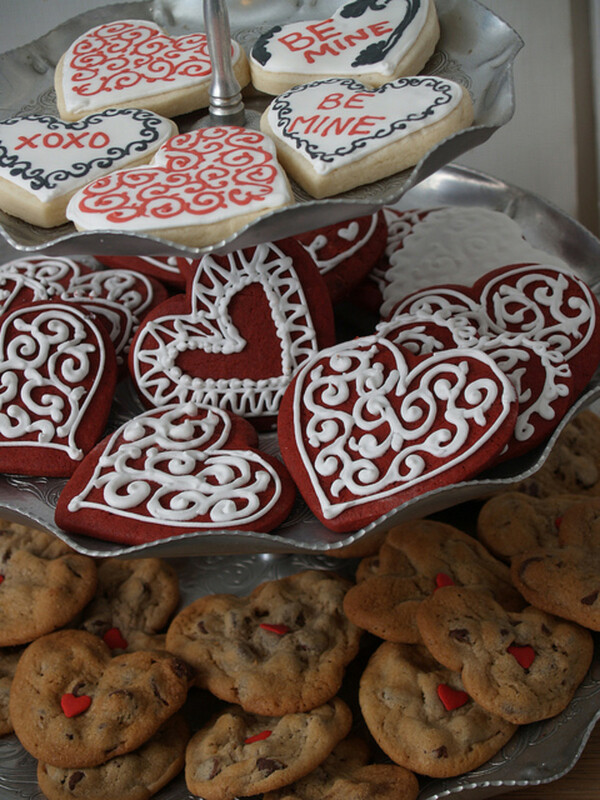 Eventually Valentines Day would become a day to celebrate love, even though some of the earlier religious significance of the day has been replaced with more secular and commercial facets. In many ways, the tradition seems to lean more to pagan symbols than to ones involving any of the three martyred Saints. 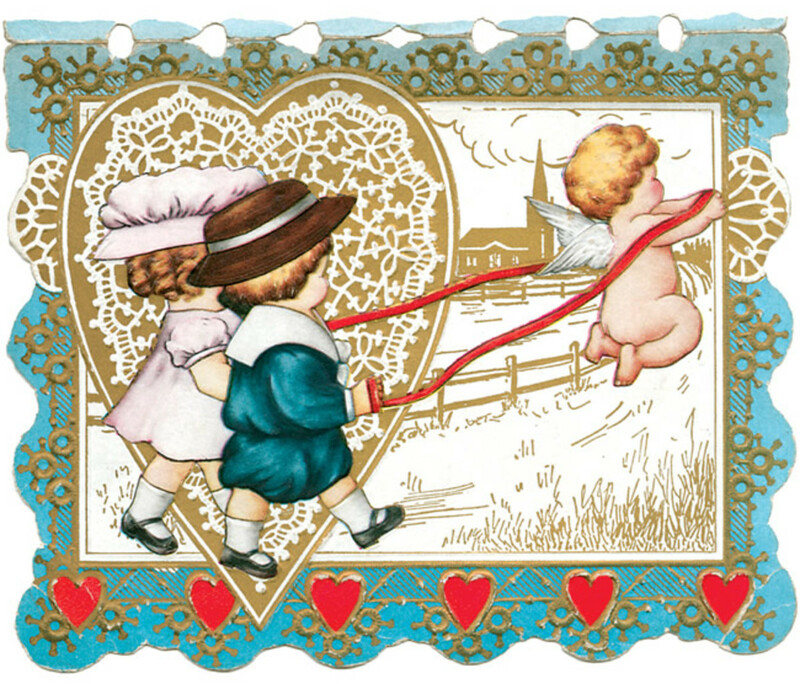 Case in point, is that chubby little angelic childlike icon known as Cupid. This one enduring representative of Valentine's Day was actually a Roman Deity and son of the famous goddess of love, Venus. 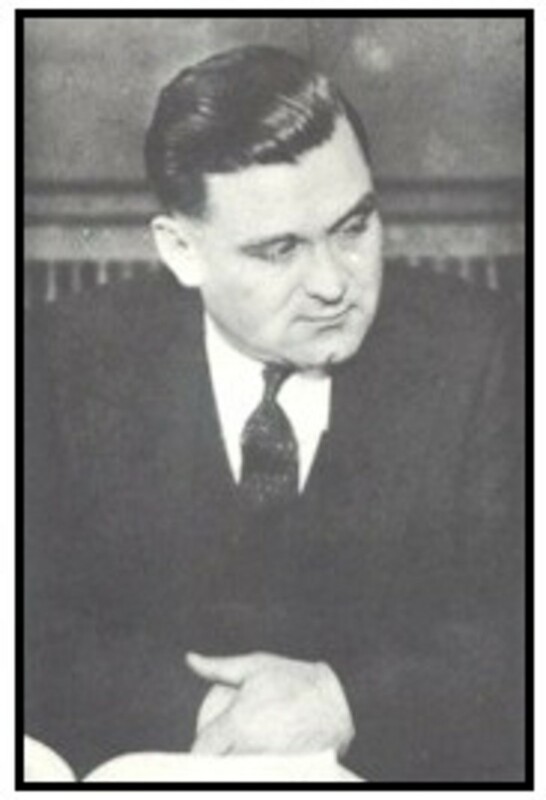 St. Valentines day has been forever marred by the events that happened on that day in 1929. For it was in the South Side of Chicago on 2122 Clark St. that seven men, members of the North Side Mob were gunned down in a garage known as S.M.C. Cartage Co. in broad daylight. 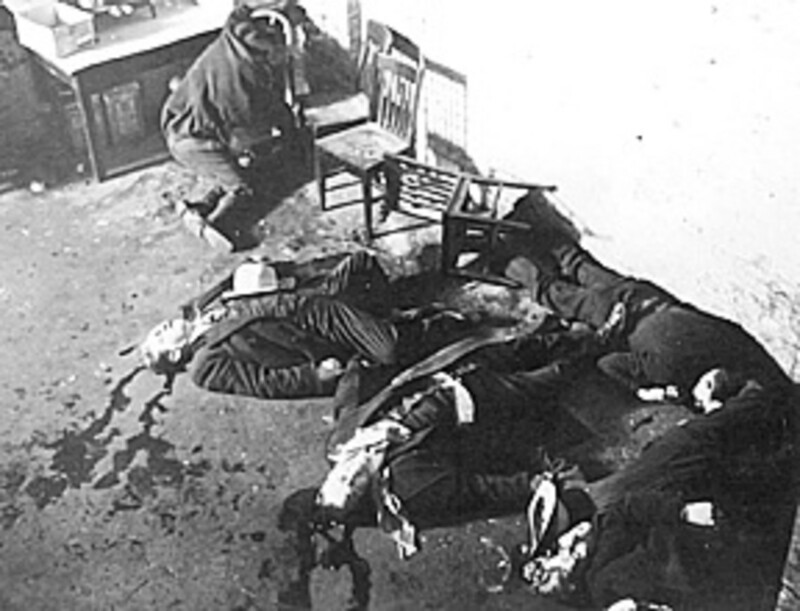 This infamous massacre was most likely intended to include “Bugs” Moran who was scheduled to arrive at the garage to tend to the delivery of boot-leg whiskey. However, he noticed a police car heading towards the garage and decided to grab a cup of coffee instead, which ended up saving his life. 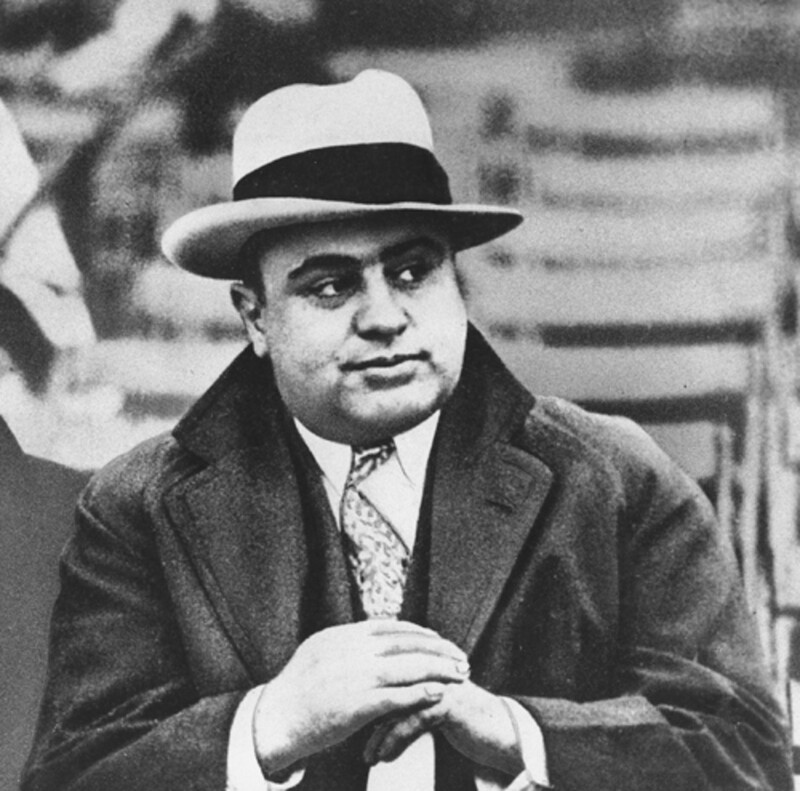 Even though law enforcement was convince that Al Capone was behind the massacre, he was never charged with the crime. One interesting side note to this event, was that Al Capone was said to be haunted from the ghost of one of the gang members, James Clark that some say haunted the gangster for the rest of his days. 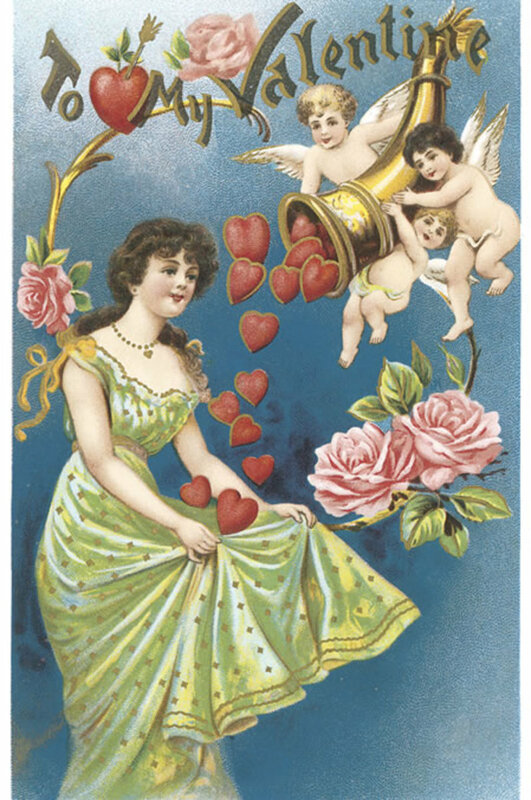 When considering the history behind St. Valentines Day, I wonder why more pagan concepts have not survived and become marketed as part as celebrating Valentines Day. I mean wouldn't it be been fun if single men were allowed to run the streets smacking women's behinds with bloody goats hide? Or better yet, the other tradition left over from the Lupercalis Festival that I failed to mention earlier. This is a tradition were single men's names were placed into a box and then women would randomly select one of the names from the box. This would be their “hook up” or temporary mate for the next year! I bring this is up for there seems to be a dangerous form of denial in regards to the compromise and hypocrisy with our so called “Christian” society. The Bible states that as Christians we should be “in the world but not of the world” so, If this is the case, then we should either denounce those things that still have strong roots in paganism. Or better yet, find ways to further create traditions that would focus on the ethics involved in Christianity. 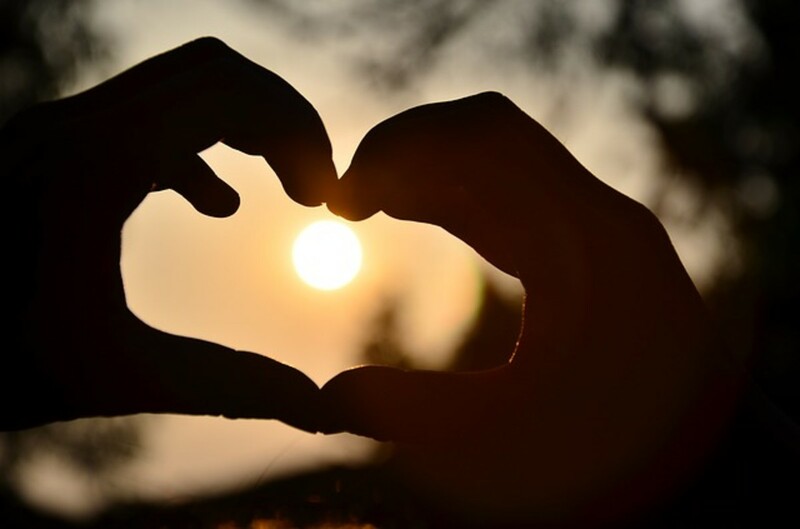 Why not find ways that would not only promote love between a man and a woman, but also ways that would demonstrate God's unconditional love for mankind? What if....churches would unite on Valentines day and commit themselves to aiding people that are often ignored or even shun by society? Instead of “Gay bashing” or other hate crimes, why not find ways that would demonstrate the advantages of Heterosexual relationships? Maybe even going as far as donating heart shape boxes” filled with chocolate to the shut-ins or the prostitutes OR even (haven forbid) TAX COLLECTORS! In other words, follow the examples of Christ, when he was here in human form. 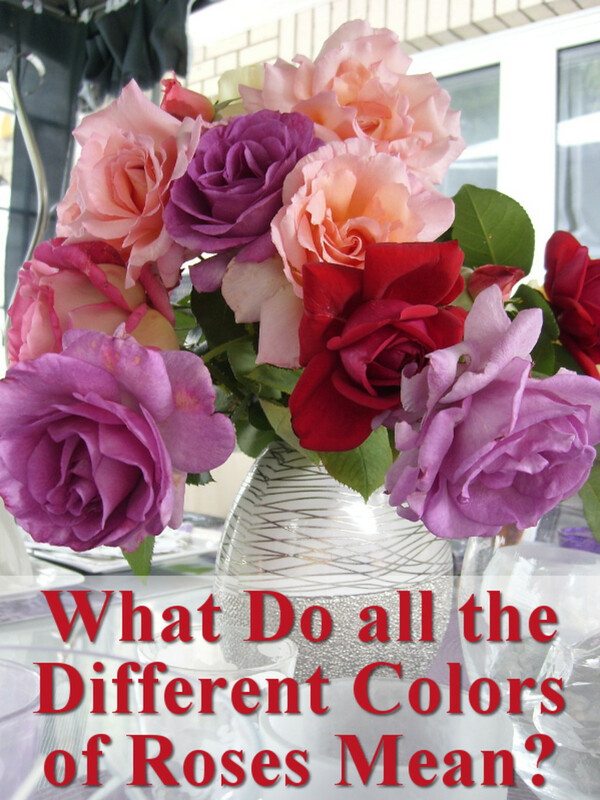 In fact I challenge the Christian writers here at HubPages to find it in their hearts to promote love, forgiveness AND TOLERANCE in the subjects they chose to write. Instead of the “I am right for God says so” mentality that seems to be reflected in some of the hubs I have read, why not make it our motto to “love everyone and let God sort them out?” For myself, I will now vow that my writing will focus more on what I believe and why I believe it instead of ridiculing those who "beg to differ” with me! For I am well aware that I have a sarcastic and even a sinister style that tends to manifest itself in some of my writing. Making a point with humour is one thing, going for the jugular vein just to prove one is right is another, and something I will now strive to avoid. I believe it that if we take to heart the message of love that is demonstrated within 1 Corinthians 13, we can be better humans, for within that chapter is a universal message that I wish to convey in this Valentine's Day message. Here in fact is a quote from verse 4-7 of that chapter, using the New Living Translation: "Love is patient and kind. Love is not jealous or boastful or proud or rude. It does not demand its own way. It is not irritable and it keeps no record of being wronged. It does not rejoices whenever the truth wins out. Love never gives up, never loses faith, is always hopeful, and endures through every circumstance." To me that about says it all and the only thing to add is....HAVE A HAPPY VALENTINE'S DAY! Wow! Your statment about "anything outside of God's love is immoral" preety much sums it up don't you think? Thanks to both acaetnna and you Tonia for your viewpoints! thanks for your writeup. valentine i think should be a celebration of God's love, when we reflect God's love to all around us and this should be a daily practise and not just on 14th February. God is love and anything outside love of God is immoral. I know I am rather late and Valentine's Day has gone but really we should be Valentines everyday! Great hub and I simply loved your chosen pictures. Yes I thought your hub was great and I will link up to it! What an incredible hub!!! You covered so much here...and I absolutely love how you ended it, with your thoughts about Christianity and I couldnt agree with you more! It reminds me of the subject of the hub I published today!! You and I are definitely on the same page in this department and I sure hope alot of people read your hub. It will open people's eyes and hearts. Thank you so much for writing this! Hello Nighthagand I want to apologiesfor not getting back to you about the Scfi connection and yet some of the markets I was going to share with you have dryed up! (This blasted economy). Thank you so much for stopping by! Hay mag the truth is that I have been working hard on my "loving nature" for I still struggle with my hatred and anger, I gues that is why I write hubs like this one to remind myself! A very timely hub indeed in more ways than one! 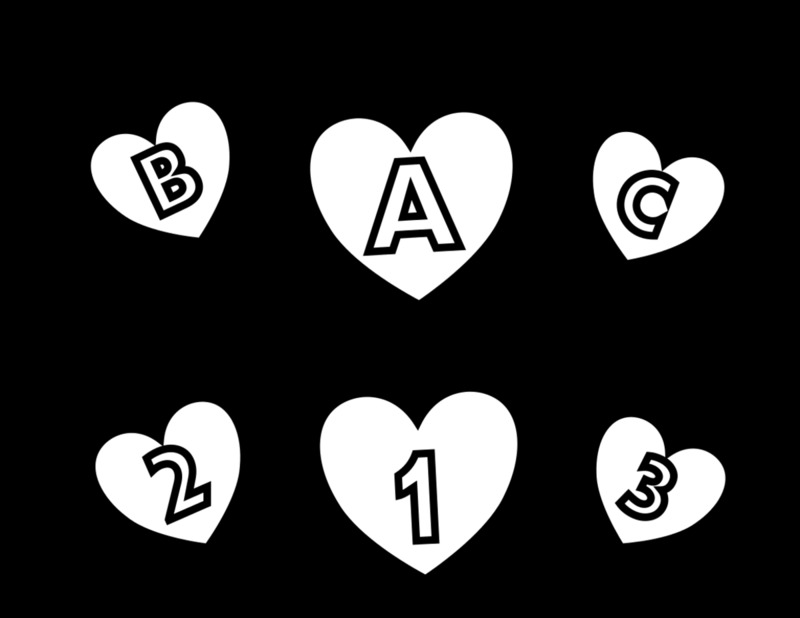 You have an awesome and loving heart Highvolatagewriter, and I am taking your message to heart too. I have already made amends with most of the people who disagreed with me in some of my hubs. I am happy I did it too, because I don't feel good about being hateful and at odds with the world. I have found some very lovely and decent human beings who simply do not believe in God, and yet we now agree to disagree and have respect for each other. You have a great Valentine's day, and I am looking forward to your next hub! And thanks again for reminding me what real love is. I have always found it interesting that Christians are so blind to the history of their own faith, and how many of the traditions they hold dear come from 'pagan' religious. Thank you for every body that stoped by...Lady Guinevre, iwas being a litle sarcastic with my comments about bring back some tha Pagan traditions and yet I guess I am not very religious for I think we all should strive to be more open minded! Loved every word of it. Yes they should bring some of those Vanletine's Day traditions and ceremonies back! LOL The Bible verse you selected is great but some very religious see it in another way. Thank you for a well thought out, well researched, well written hub! Hi Highvoltagewriter thank you for this very well written hub some of these things i did not know about Valentines day.